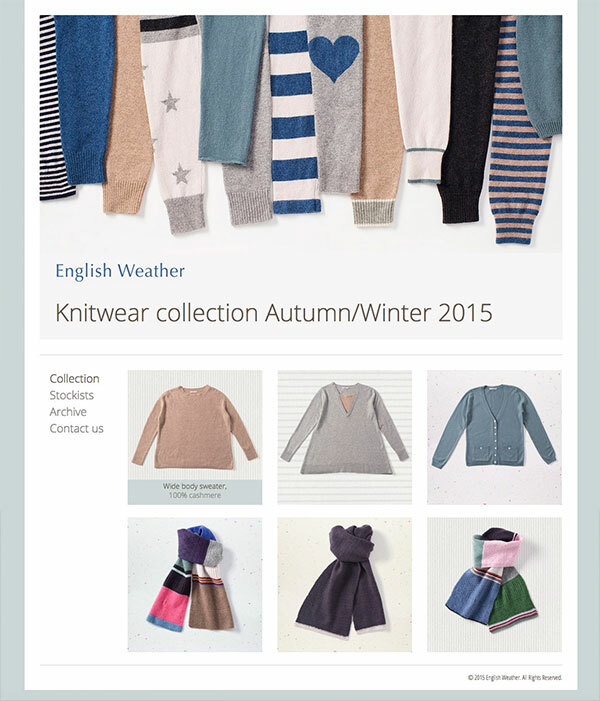 English Weather are a very very posh knitwear company. Most of their products are 100% cashmere or 100% silk knitwear. I didn’t even know you could knit with silk! This website was designed by Cherry Goddard for iTransact, and built and maintained by me. Cherry works exclusively in Illustrator, which is unusual for a web designer, and is probably due to the fact that she usually designs for print. The website is beautifully simple, allowing the products to speak for themselves.